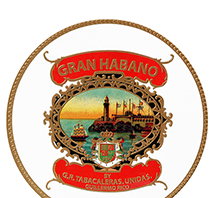 The Gran Habano Cigar families are available worldwide at our authorized retail tobacconists near you. For additional location information please contact us at (305) 436-5960 or TOLL FREE within the USA at (888) 958-7002. Enter your Zip Code below to find a tobacconist near you! For information on how to become an authorized retailer please call us at (305) 436-5960 or TOLL FREE withing the United States at (888) 958-7002.